The UN-Habitat’s report estimates that, by 2030, there will be higher pollution living in urban areas than in rural areas. More and more people are moving to urban areas to seek better job opportunities and better standard of living. The population boom and rapid urbanisation are starting to weigh heavy on cities’ ability to provide adequate housing for all. The shipping container spaces have been sprawling in many counties as an alternative solution for conventional housing problems. 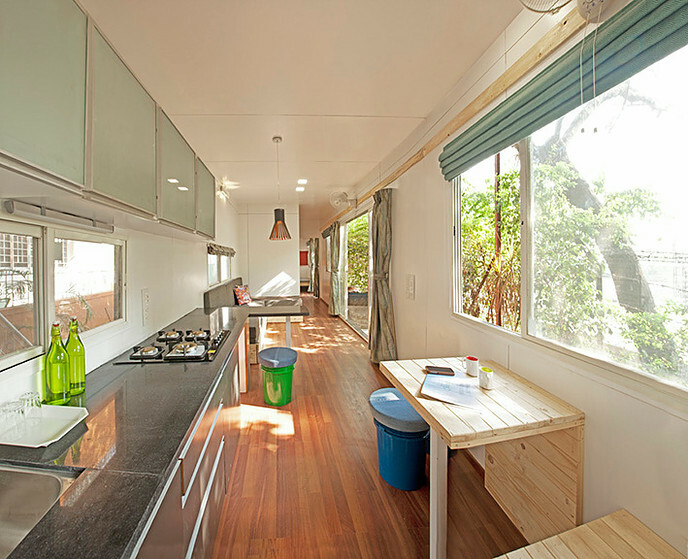 The versatility of the used shipping container coupled with its structural strength provides an ideal framework for executing housing and accommodation spaces, which can range from the affordable to the luxurious. Compared to traditional housing construction from brick and mortar, the containers are modular and have inherent mobility, which make them more appealing. It helps in providing housing for people during emergency in the event of natural disasters due to its quick modular construction. For years, container architecture in India remained confined to low-cost accommodation and mobile office spaces on construction sites. Now, Dhara Kabaria, a Pune-based designer converted an old container purchased from the Bombay Port Trust into a swanky studio apartment at Pirangut, 35 km from Pune. Studio Alternatives, a design firm was created by sister duo Dhara and Dolly Kabaria in 2009, with a view to provide customized design solutions and exclusive photography services. She along with team at Studio Alternatives has transformed the container of size 40 x 8 x 9.5 feet in eight weeks at a cost of Rs. 15 lakh. 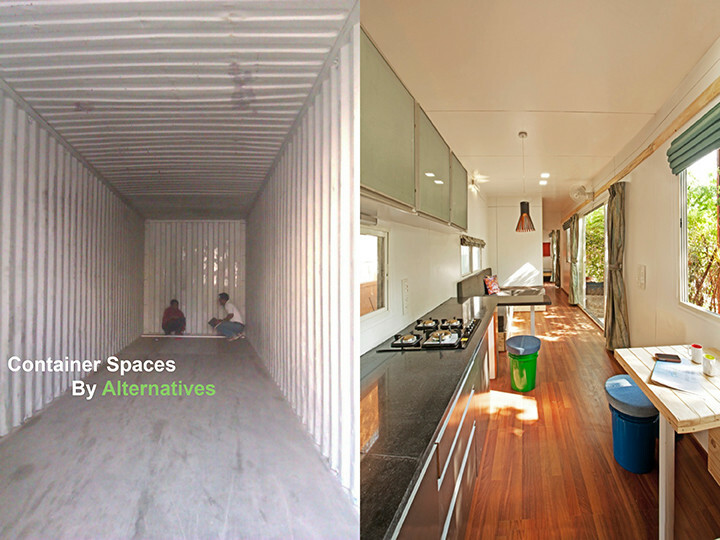 The container is powered by solar energy and its interiors use plenty of recycled materials. A 20x8 ft container costs around Rs 1 lakh. Converting it into a comfortable living space can cost up to Rs 20 lakh. Usually, these steel boxes come in two sizes: 20x8 ft and 40x8 ft, says Co-founder and Principal Designer Dolly Kabaria, reports ET.